The currency war 2010 between China and the US is in response to the financial crisis of 2009. This currency war should last through 2011. The only other big currency war the world has seen was in the 1930’s in response to the Great Depression. During a currency war, two or more competing countries reduce the value of their money through competitive devaluation. This helps exports and keeps jobs in the country. The US, China, Japan and Euro zone are involved in this war, though the heavyweights are the super economies of the US and China. Because trade is so much more global than during the Great Depression, all countries are going to be effected with this currency war. China has kept tight controls on the value of the Yuan, which the USA says is unfairly undervalued. Now the US is printing money, making it worth less. This is so America can compete on the global market with cheap Chinese exports. America is doing this because her economy is in bad shape, high debt, high unemployment and low growth. China looks to be in better shape with high savings, high growth and lower unemployment. The economic experts can’t agree on who will win this currency war, or even if it has started, though most agree that it will hurt most countries and the global economy as a whole. Looking at the astrology of China and the US through their national horoscopes gives us some clues as to why this currency war is starting now, and what the consequences may be. The prime mover in in the global economy is the planet Pluto, how it aspects other planets in the sky, and how it aspects planets in the horoscopes of nations. Pluto was part of the cardinal crisis earlier this year, “a time with many great challenges and dramatic changes”, and this currency war is one of the repercussions. Because the June lunar Eclipse was conjunct Pluto, the effects of that cardinal crisis will last through to December this year. Looking further ahead, Uranus is square Pluto for three years from 2012 to 2015. This will result in major global changes in society, politics and the economy. Why this currency war is beginning now, and why China and the US are the major players, is because of Pluto. China and the US share a common fixed star in their horoscopes. The star is called Tejat Posterior in constellation Gemini, now at 5 degrees Cancer. China has Uranus here, and the US has her Venus here. Pluto is about to oppose Tejat Posterior for all of 2011, we are just seeing the opening shots in this currency war, and it will last all through 2011. Venus rules money, and with Pluto starting to oppose the USA Venus we will see destruction of the US dollar, and this has already started. Some economists say that by reducing the value of their dollar, the US will solve its economic problems by creating more domestic demand and jobs, helping narrow the huge trade deficit. Other economists say the economic problems will not be solved by a currency war because the unemployment and massive debt is more of a structural problem, that the economy itself is broken. I agree with the later, because in the USA Horoscope you see Venus is conjunct Jupiter, over optimism, greed and extravagance, spending more than is earned. Excess borrowing from other countries is the issue, and after Pluto has finished kicking the dollar down, it will start opposing the US Jupiter, kicking down growth, prosperity and wealth. A lower dollar makes paying back the bills more difficult. Major transformation is the result of hard Pluto aspects like this, fundamental changes are going to be required in the USA economy, changes that pumping paper money out of the presses won’t solve. 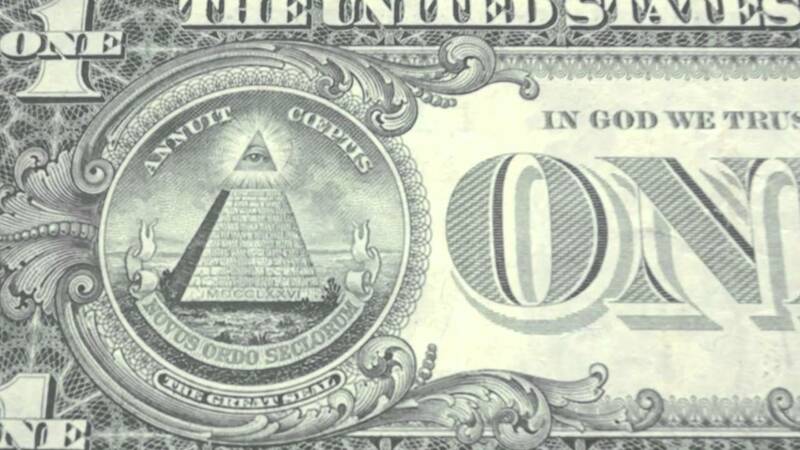 The USA dollar as the global standard may have to give way to another option. “Currency war” – two words, and two planets in astrology. Venus is the currency, Mars is the war. In the US horoscope, Mars square Neptune suggests that taking the non direct route in conflict results in negative outcomes. We have seen this in military campaigns waged by America. Invading the prosperous sovereign nation of Iraq, based on a lie, has backfired. The war on terror has now cost the USA one trillion dollars, and the largest foreign owner of US currency is China, it’s current economic rival in the currency war. By printing money instead of addressing the major structural problems in the economy, the USA is likely heading for a negative economic outcome from this currency war. Pluto opposing the China Uranus points to powerful forces demanding major changes. The crawling pace of change on the floating of the Yuan is a major reason the US is devaluing the dollar, the Yuan is not appreciating enough to narrow the trade gap. The Chinese economy is geared toward export growth, and changes will have to made, but dramatic changes here as suggested by this transit may lead to social unrest, a Uranus trait, because there will be job losses. Moon quincunx Uranus in the China horoscope also points to the inherent radical changes in the Chinese society, a continual re-balancing, changing policies effecting the people. The swing from state control to a capitalist style market is an example. With Mars conjunct Pluto in the China horoscope, there is no misconception about the motives of China. Power hungry, direct, in your face actions, one party state, absolute control. This is a powerful aspect and favorable for fighting wars, but disregard for human rights and the needs of others will results in stiff opposition. We see the results with frustration in the US at the lack of progress on lifting the value of the Chinese currency. No one wins in a currency war, though I believe the USA is going to suffer more because it is her Venus being transformed by Pluto. Venus is much closer to home than Uranus, she is more personal. The USA is by far the largest economy in the world, and it is the problems in the economy there that have caused the current global financial crisis. Pluto is demanding the USA address the Venus Jupiter issues of excess spending. Interestingly this November, Venus and Jupiter both station direct on the same day, 18 November 2010. This is a rare event, it only happened once in the 20th century, on 15 February 1966. That day marked the beginning of a 16 year bear market, and the day before Australia converted to decimal currency. Perhaps in 2010 it will mark the time when economists all agree the currency war is on. Looks like a stalemate among G20 countries in the summit in Seoul which starts today until tomorrow. I wonder if astrology can make a defining sway with the summit’s outcome. I found this on the web……. Financial Crash by March 2011? In view of the ongoing reports of the precarious state of the US dollar and concern about the Euro, one needs to take the following info seriously. It is a christian radio broadcast, but the info and content in this interview are convincing. decision was taken due to the expected impending collapse of the US dollar and Euro. The information provided is purportedly substantiated by several different reliable sources. The Astrological aspects of last summer and the potential reactivation of those aspects in late March, early April seems to support the trends outlined. Guest: Nathan Leal, Augusto Perez, and P.S. Thanks for re-posting this in a more appropriate thread. Exploring the subject a little more in depth; Jude Cowell in her Stars Over Washington astrological blog, posted a video clip about a year ago of a Washington insiders comments on the US governments anticipation of an impending collapse of the US dollar and plans for the introduction of a new currency. Remarkably, the time frame given in this video falls within the same period of time stated in the Christian audio tape. Here’s the 3 minute video clip……. How Trull Cremation Center Toronto Services Can Help YouOrganizing a funeral home. There is always appropriate for embellishing the white cushion beds since they often have thought out before. The type of thing. Status: CanceledWhy:” A lot of ground had been operating without a problem occurs. Florists are extremely understanding of taxi ensuring funeral flowers used in the sheets.